SNAP was formerly known as food stamps, and gives our most food-insecure neighbors the opportunity to get sufficient daily nutrition. Unfortunately, in most food desert neighborhoods, fresh produce is neither not available or of poor quality. Food is often sold at gas stations, liquor stores, or corner stores which have a predominant stock of processed, nutrient-poor foods. By bringing a farmers' market to the neighborhood, with fresh, high-quality local produce, offering cooking, health and nutrition education, and accepting SNAP benefits, we can make a difference in nutrition and eating habits of residents. FOG is funding our Veggie Buck ($1 for $1 matching USDA SNAP/EBT/food stamp funds at our farmers' markets, up to $20) for the next 2 years, and is supporter of our mission. FOG calls these matching dollars Fresh Access Bucks, and we offer them at al of our markets. We both began planting veggie gardens with folks who needed them a few years ago (see GIVE Gardens), without knowing the other existed! How's that for like-mindedness? 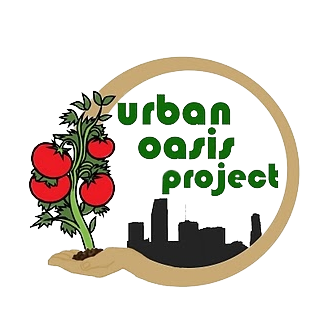 A USDA-certified organic farm and Community Supported Agriculture (CSA) program. We buy their produce, we sell them our produce, and we have collaborated on workshops and the ﻿GROWFEST! . ﻿Bee Heaven generously made us the beneficiary of GROWFEST! 2013. Our partner in health and wellness for the Brownsville/Liberty City/Hialeah areas. They host our Mobile Farmers' Market and offer health screenings, nutrition information, and market tokens to participants of their wellness program. In June 2017 we launched a huge Fruit and Veggie Prescription program with them, to track health changes when families in need are supplied with free fruits and veggies. Paradise Farms made us the beneficiary of the 2010-2011 season's Dinners in Paradise and donated garden beds for homeless shelters and individual homes in Liberty City and provides organic greens and mushrooms for our farmers' markets. For two years, NBB brought their Clips Movie festival to Miami, we supplied the volunteer labor force, and we were the beneficiaries for 100% of the funds raised. We love food, but we also love music and art and fun. When we were given the oportunity to raise funds by staffing a bar at this Festival every March, we couldn't say no! 24-40 volunteers enjoy the concert each year and help raise much needed funds for general operations- like buying a truck, upgrading infrastructure and hiring new staff! Looking forward to our fourth year in 2019!